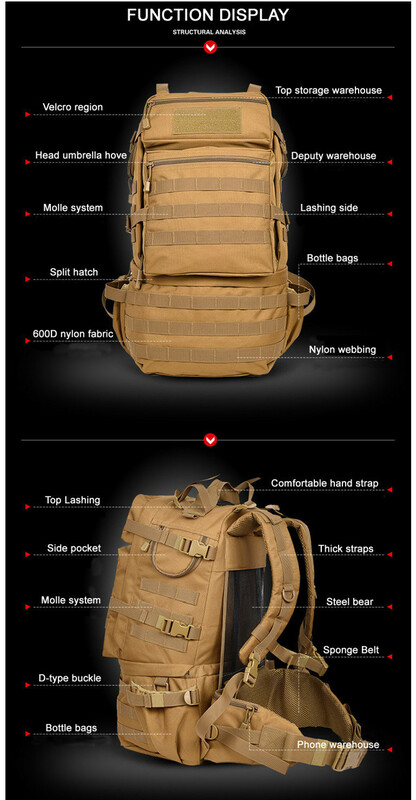 Military Molle bug out bag, Fashion Sports, Thickened spongy shoulder pad and tournure, 3D suspension system, Effective dispersion of weight. Built-in computer layer, shockproof sponge, Side pocket kettle bag. 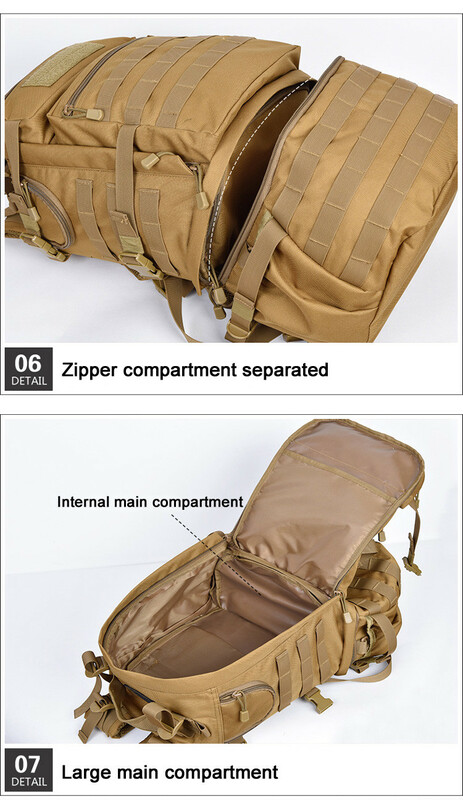 Bi-directional high quality zipper.The backpack use high density nylon ribbon, Strong, wearable and reliable,The front side and two sides provided with the multifunctional MOLLE mount system.The main warehouse is equipped with a notebook. Large capacity can be placed in layers, 15.6IN notebook computer can be placed. Apply to, Outdoor survival sports, Tactical sports, Trekking, Hiking, Camping, travel,Hunting, Fishing, mountain and climbing, Tourism and so on.